ysabetwordsmith | Poem: "The Gifts That Move"
Poem: "The Gifts That Move"
This poem came out of the September 5, 2017 Poetry Fishbowl. It was inspired and sponsored by Anthony Barrette. It also fills the "give to charity" square in my 7-1-17 card for the Winter Fest in July Bingo. This poem belongs to the Iron Horses thread of the Polychrome Heroics series. they would not stay sundered forever. thus buy things worth having. for anyone to go "unemployed,"
now there was a way to pay for it. American dollars for goods or services. and four standard rooms for rent. family and eat a bowl of Three Sisters Soup. and so the gift moved. were late, and eating junk when they weren't. their ancestors had gotten to eat. So they made Dézi, a food manufacturer. 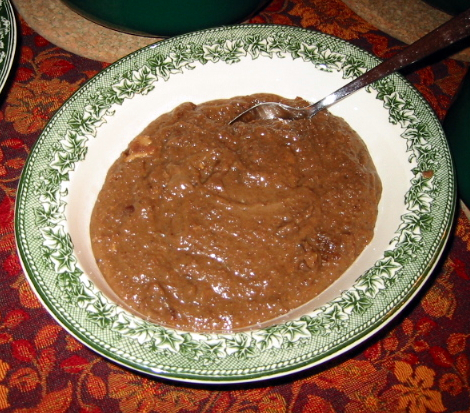 a hot cereal called Omaha Acorn Porridge. it tasted a lot more like home. Next they made Omaha Acorn Flakes. figured out how to coat them with honey. and they released Omaha Cattail Crunch. the breakroom with the new cereal. huckleberry -- their first fruit cereal. their fuel station convenience stores. posed more of a challenge. berry powder baked into the squares. for families in need of food. out of sacred cedar wood. whether the parents could afford it or not. far too small for a tribe. little more than a pond. along the banks of the streams. to stock the restored waters. to deer and foxes and eagles. once given life to their tribe. not depend on its enemies. Navajo and Miwok, and others too. intertribal, friends and allies and kin. were gifted and they moved. See a map of Rocky Boy's Indian Reservation. It's bigger in Terramagne-American than in local-America, so much of the gray area surrounded by the gold area is actually part of the T-American reservation. The T-American restaurant Wiikwandiwin ("Feast Food") serves traditional Chippewa and Cree cuisine. They also host a Moon Feast each month with seasonal foods and dancing, dedicated by a medicine person. The construction of Wiikwandiwin was financed by the tribe as part of the development of Rocky Boy's West / New Box Elder to replace the older settlement of Box Elder which is falling apart. People wanted a nice restaurant that would celebrate their own culture and traditions, and offer healthier food than Ruby's Cafe (which remains as popular as ever). Therefore, they accept tribal currency. Ingo-diba'igan (one hour) will get you into the Moon Feast, which is all-you-can-eat communal fare. Usually they serve some form of Three Sisters Soup, seasonal vegetables and fruits, and whatever meat someone managed to hunt. Occasionally they butcher a bison for the feast. Everyday options range from cheap (Three Sisters) through moderate (bison) to expensive (filet mignon). Unlike most places, bison is cheaper than beef or pork, because the tribe raises bison locally but has to buy domesticated meat from outsiders. Aside from serving tribal customers, Wiikwandiwin can also be rented for special events by outsiders, and brings in quite a respectable haul of tourist dollars. However, the Chippewa Cree locals get first choice of dates, which means there is often a waiting list for other people. 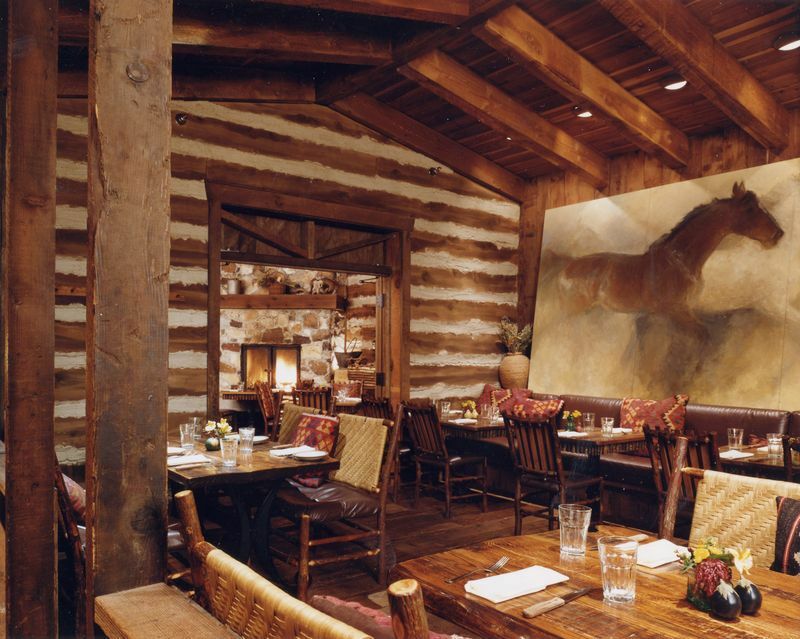 A large log cabin building houses the restaurant and lodgings. A stone path runs behind the building. Gardens around the building hold sage and other herbs. 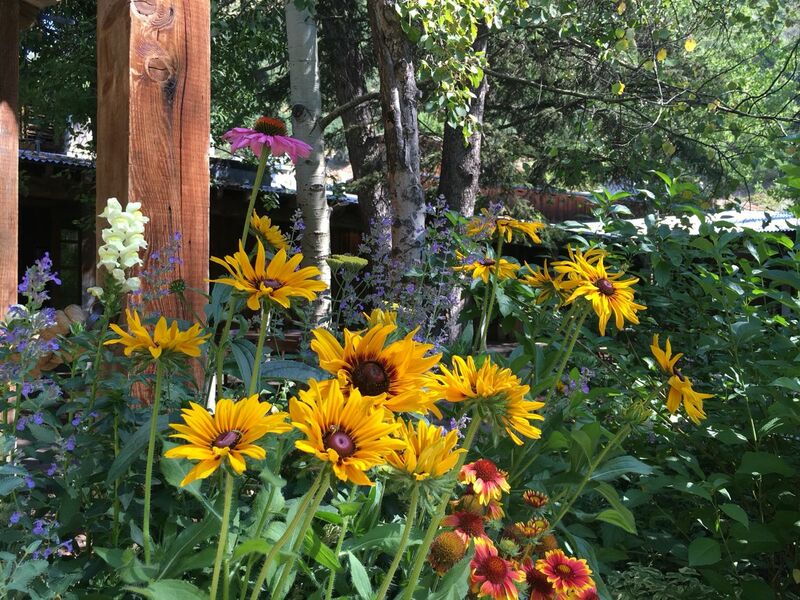 Native flowers bloom to attract wildlife. A wooden ramp goes up to the main entrance. This little alcove near the entrance provides a place to sit and rest. It is stocked with consignments from local artists, most but not all of them Chippewa Cree, and they make a point of offering items for sale from affordable to luxurious. The smallest ceramic pots and the little unframed prints are typically $10-12. Handmade leather books, most ceramic and wooden bowls, and small framed prints range $25-50. The big burls and large paintings can run up to several hundred dollars. This large room is popular as a banquet hall for wedding receptions or other group events. With the floor cleared, it becomes a dance hall. Along one side of the banquet hall, the Lean-to provides space to set up serving tables for a feast. It can be enclosed, or left open to the outdoors, depending on the weather. This also provides meeting space for medium-sized groups or overflow seating for banquets where guests are served at their tables. It has large windows facing west to catch the sunset. The Sun Room has large windows facing east to catch the sunrise. There are several dining rooms, each distinguished by its own decor. The Standing People Lodge has pillars made from whole tree trunks. The Horse Room has paintings of horses and bits of tack hung on the walls. 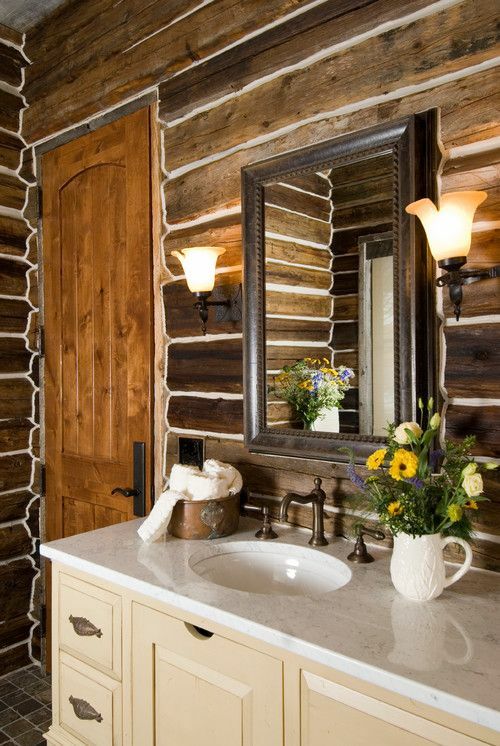 In the Stone People Lodge, a set of four steam rooms provide a place for purification and prayer. This is a very popular service for weddings and other special events. It also offers a place for medicine people to prepare before important presentations, such as the monthly Moon Feasts. Wiikwandiwan has several areas for lodging. The owner's suite is a three-bedroom apartment which has a master bedroom with ensuite on the first floor and two loft bedrooms with full-sized beds above. The great room includes living, dining, and kitchen areas along with a powder room. The couple who own the place actually live upstairs in the righthand loft and their teenage son lives in the lefthand loft. 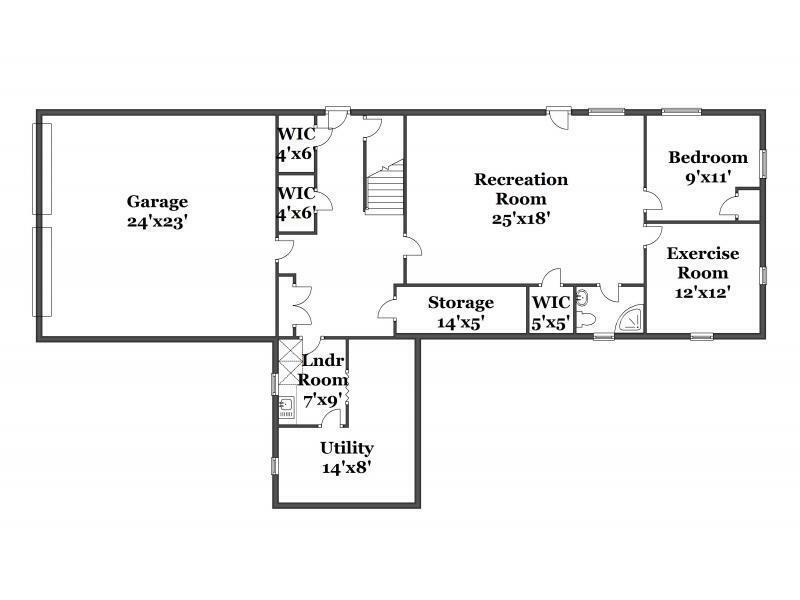 The kitchenette is across from the couch in the right loft. Their elderly parents have the master bedroom below, which has a queen-sized bed and its own ensuite bathroom. 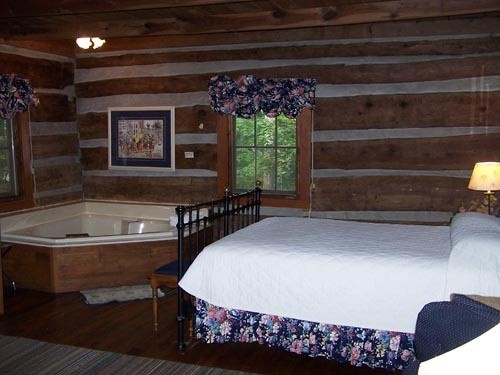 The honeymoon suite includes a kitchen, a living/dining room, a bedroom with a queen-sized bed and a hot tub, and a bathroom. There are two studio rooms with a full-size bed, a kitchenette, and an ensuite bathroom. 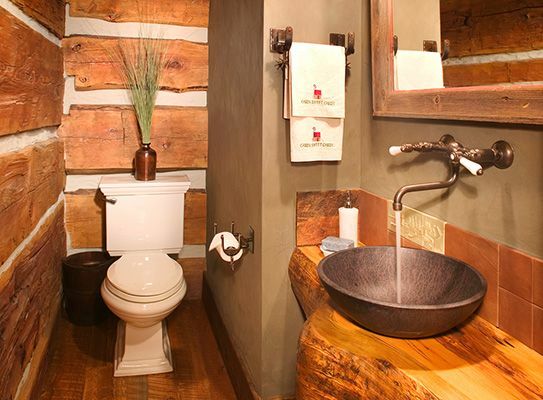 There are four standard rooms with a full-size bed and an ensuite bathroom. "The gift must move" is a fundamental premise of the gift economy. It appears across most tribal cultures. Among the surviving stories about it is that of White Buffalo Woman from Lakota lore, whose gifts saved the people from perishing and included giveaways alongside the seven ceremonies. The Indian Wars included many massacres of innocent people by the cavalry and other military units. The Chippewa Cree include Chippewa and Cree people on Rocky Boy's Reservation in Montana. "Green Frog Skin" is a term for paper money from Lakota tradition, which has since spread to intertribal use. Time-based currency typically counts hours and is a form of alternative currency. Three Sisters Soup is made from corn, squash, and beans. There are many variations. The Omaha People have a reservation in Nebraska. Government rations to captive tribes have been so poor as to cause health problems, thus supporting charges of genocide. Some tribes seek a return to traditional foods for health and/or cultural reasons. The situation in T-America is better than L-America, as tribes there have won lawsuits obliging the government to provide more fresh food and less junk, but it is still not great. Chippewa Cree is one tribe that has also started distributing boxes of food tuned to specific health needs, so for instance you can get a diabetic box with lots of fresh vegetables, minimal sugar, and all grain products made with whole grains. Dézi is a food manufacturer on the Omaha Reservation in Nebraska. They make a variety of products, mostly inspired by traditional foods. Their cold cereals include Omaha Acorn Crisps, Omaha Acorn Flakes, Omaha Blueberry Crisps, Omaha Cattail Crunch, and Omaha Strawberry Crisps. They also make a hot cereal, Omaha Acorn Porridge. Omaha Acorn Porridge -- a creamy hot cereal made from acorn meal. The carton contains recipes for plain porridge, berry porridge, and acorn porridge with mashed acorn squash. 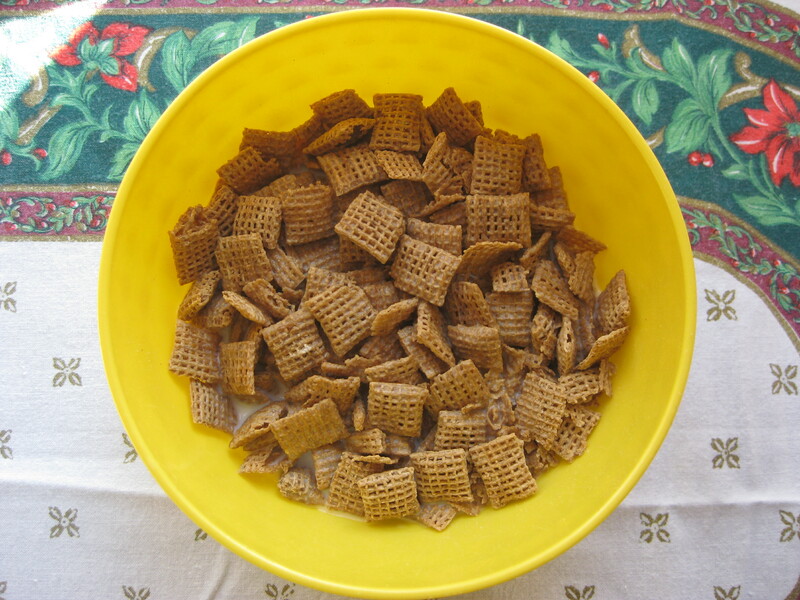 Omaha Acorn Crisps -- a cold cereal made from acorn flour baked into squares similar to chex, with no grains. It's available plain, with honey, or with huckleberries. Acorn flakes may be made similar to crackers, you just roll them out thinner. Omaha Acorn Flakes -- a cold cereal made from acorn flour baked into flakes, with no grains. It's available plain or with maple sugar. Omaha Blueberry Crisps -- a cold cereal made from wild rice and blueberry powder baked into squares similar to chex, plus whole dried blueberries and black walnut pieces. Omaha Cattail Crunch -- a cold cereal made from cattail flour baked into crunchy round balls, containing no grains. Cattail is a traditional food appearing in many recipes. Omaha Strawberry Crisps -- a cold cereal made from wild rice and strawberry powder baked into squares similar to chex, plus whole freeze-dried strawberries, whole freeze-dried raspberries, and whole almonds. 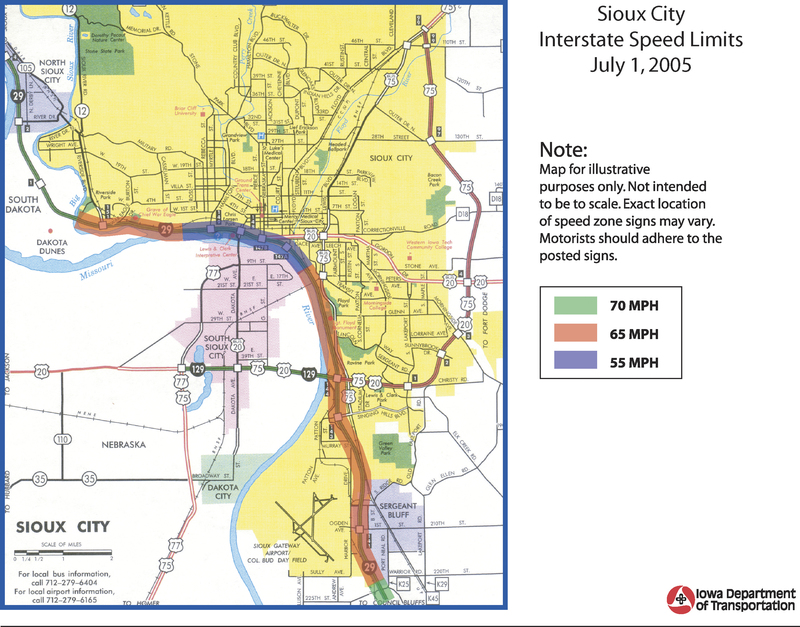 South Sioux City is located in Dakota County, Nebraska, just across the Missouri River from Sioux City, Iowa, thus part of the Sioux City Metropolitan Area, aka Siouxland. That area consists of five counties in three states: Iowa, Nebraska, and South Dakota; as of the 2010 census, local-Siouxland had a population of 168,825. In T-America, the Siouxland Chamber of Commerce is largely run by city Indians from various tribes. In T-America, Seneca started out as an oil company run by white people. However, the tribal nations in general caught onto renewable energy much sooner than the mainstream did, which allowed them to corner the market in some areas. The Seneca-Cayuga tribe of Oklahoma, a branch of the Seneca people, staged a takeover of Seneca Companies and has been divesting most of the petroleum interests, replacing those with electrical vehicle services, environmental services, waste solutions, remediation and process controls. Seneca Companies has nine corporate locations throughout the Midwest, Southern, and Mountain regions with a service area covering more than a dozen states. Their goods and services span a variety of infrastructure supports. 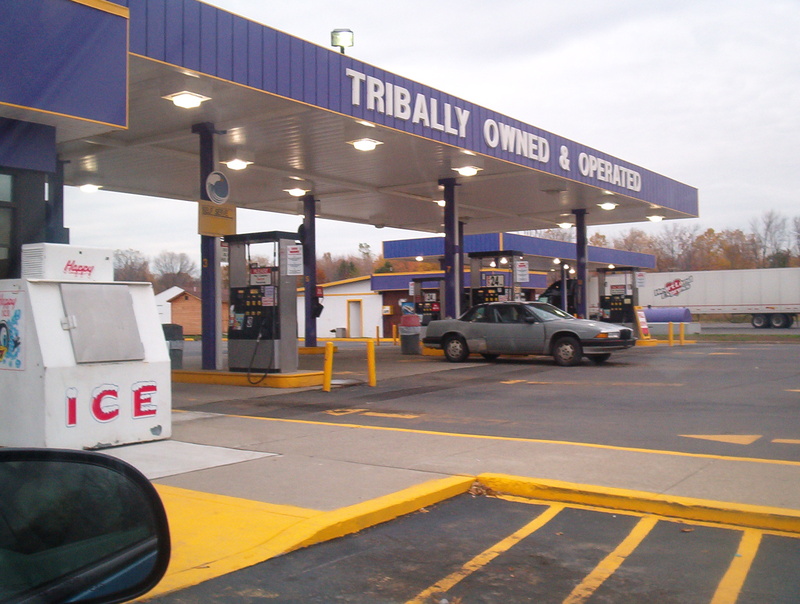 In T-America, modern Seneca Companies fuel stations still offer gasoline, diesel, and kerosene -- but the tribe slaps a tax on all nonrenewable products to make them more expensive than renewable ones. (The tax goes to their environmental and remediation projects.) They put most of their emphasis on selling biofuels such as ethanol and biodiesel, along with charging stations for electric cars. They customarily include a convenience store, sometimes a restaurant or other attractions. Products favor healthier options than typical at a gas station, with a particular emphasis on tribally owned and operated ones, such as the Dézi cereals. The Navajo people hold the largest surviving reservation. A cradleboard is a rigid structure for carrying a baby, the historic equivalent of a modern stroller or carseat, often made of cedar which is sacred to many tribes. The advantages include keeping the baby safe, comfortable, and at adult height for easy interaction. Cradleboards are making a comeback, and a few places offer them for sale. The Miwok people have several divisions including the Coast Miwok, for whom salmon was a staple food. They were gravely cheated of land and left with the Graton Ranchería near Sebastopol, California, which was tiny and almost barren. In T-America, they extended their holdings enough to create a real reservation. Salmon may travel hundreds of miles between their spawning grounds and the ocean. They are sacred to many coastal tribes, and serve a crucial role in transmitting resources along the ecosystem. Deforestation dries up rivers and lakes, disrupts traditional practices of land management, and destroys aquatic ecosystems. Conversely, reforestation can return the water its former courses, an important part of watershed restoration and salmon conservation. In T-America, the Miwok Reservation now has a clanhouse with a number of outbuildings. See plans for the basement, first floor, and second floor. Natural springs have resumed their flow, and salmon have been returned to the creeks. I'm glad you think so. Many of these ideas are replicable, and some touch on things that people are doing here. Yes, and there are records of that from the legal documents of the Brehon Laws too: most penalties came in the form of fines which could be framed as cash, hours of labor, or time that one's livestock was kept in the public pound. In T-America, the Chippewa Cree use a similar system to calculate the price of goods, incorporating the material cost and labor time. Funny how history repeats itself [well, it's more of a spiral than a circle..but still] But then, when capitalism ends up devouring itself the way our late-stage system is doing, it's inevitable that people go back to the ways that worked before. Exactly. Money only outcompetes barter when there is enough of it to go around for people to meet their basic needs. When there's not enough, they start wondering why they are poor when there is work to be done and they could do it. I'm catching up on all the poems I missed when I was too sick to sit at the computer. Are the Omaha Acorn Flour Porridge Mix and Omaha Acorn Flakes available here, or are they T-America products? Alas, only Terramagne offers those as commercial products. Where possible, I have linked to recipes so people can make their own. We also don't have blue cereal, green cereal, or caffeinated cereal. 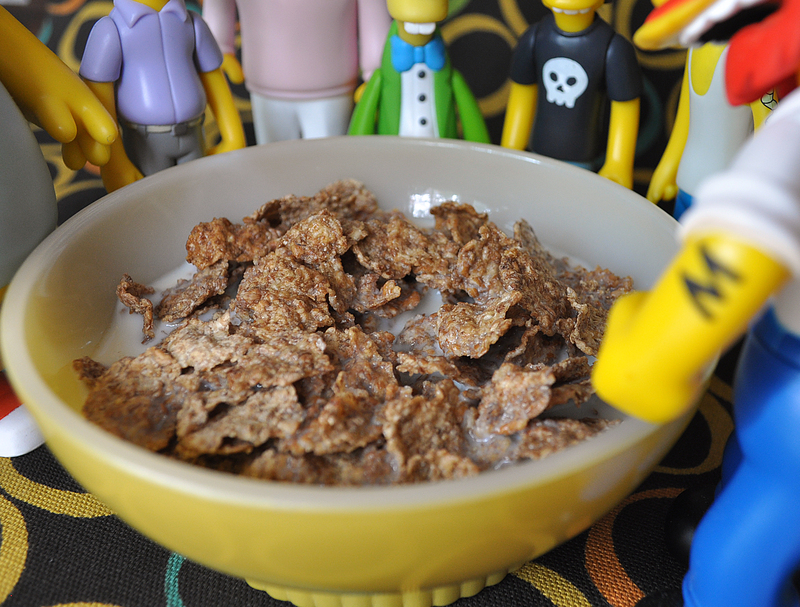 0_o Terramagne has some weird cereals.